We are safe and sound in Bolivia, after an absolutely amazing time in Peru. 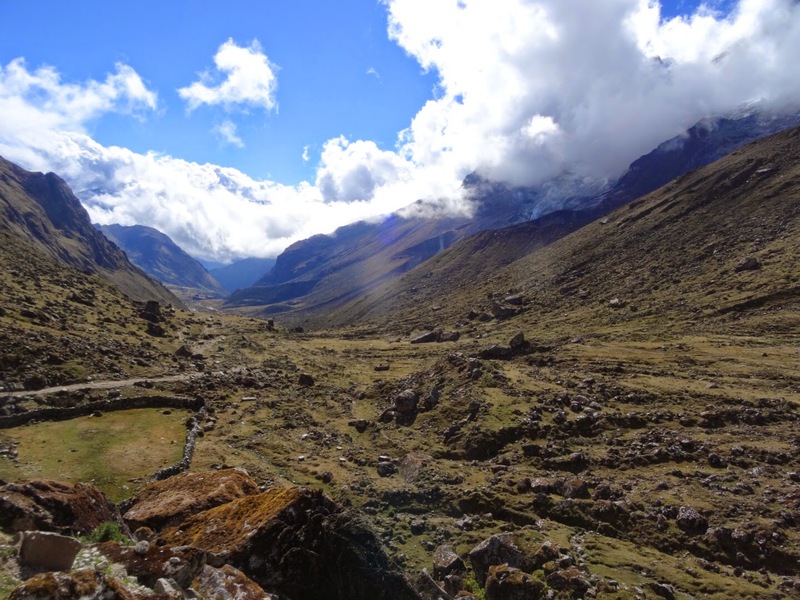 Almost a week ago we were on our way to begin our five day trek to Machu Picchu. 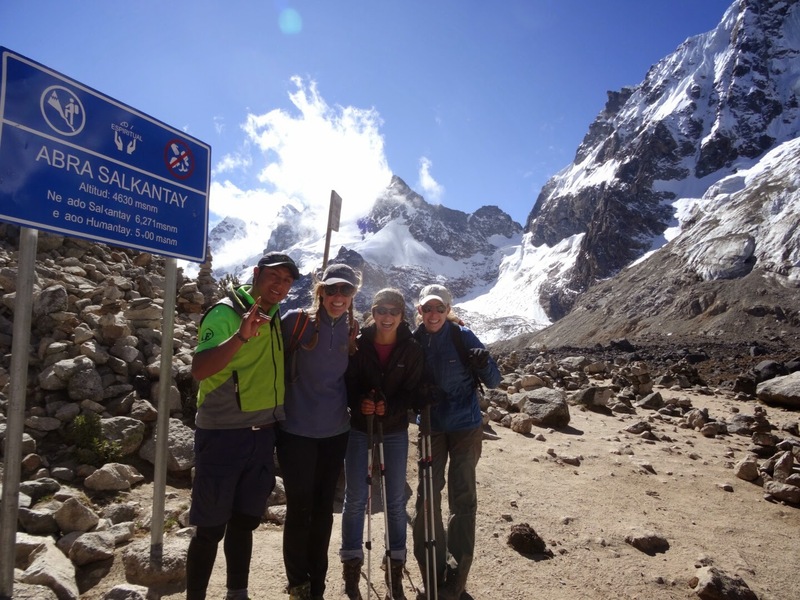 We chose the path less traveled- the Salkantay Trek vs the classic Incan Trail, and we were glad that we did. The trek, to our surprise, ended up being just the three of us. We were led by our amazing tour guide Jose, a native Andean, who cared about us in the same way that he cared about his Quechua heritage. Not only did he passionately teach us about the history of his people, but he also genuinely cared to get to know us and our stories. By the end of our 5 days he became such a dear friend to us. Because it was just the 3 of us, we were able to bond with him and our chefs, Walter and Julian. Our chefs. We must pause and brag about them for a hot second. We can't say enough. Whether it was the hot quinoa soup that proceeded our meals, or the extravagant display of main courses- we never left a plate unclean. Thank you, brothers, for fruits and veggies, for quinoa, and for nourishing our bodies after long, long miles. 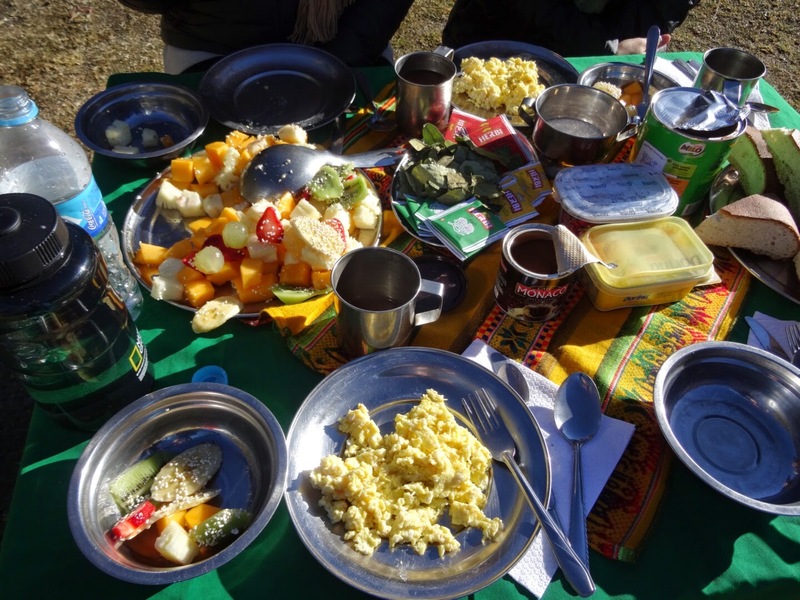 A quick side-note for those thinking about a Trek and choosing a tour company. Go with Alpaca Expeditions. Why? It's a small local business of native Andeans who know the culture and love it. 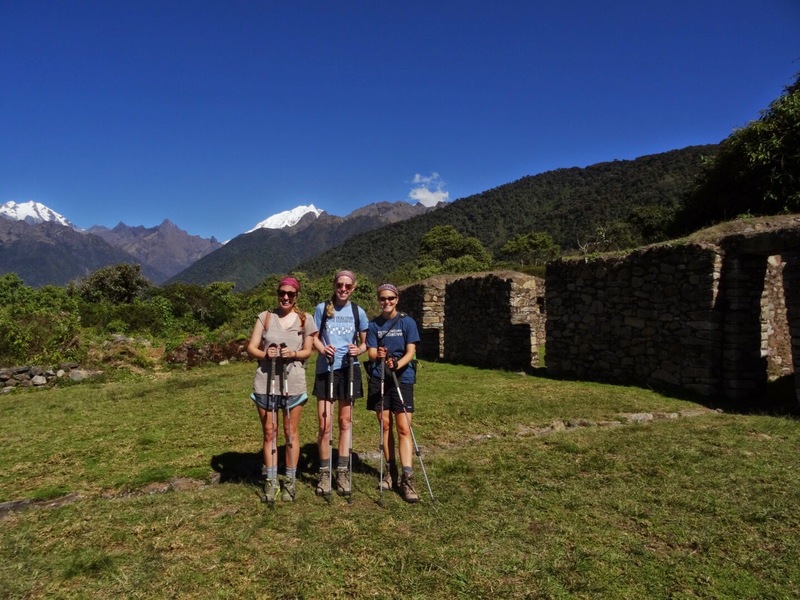 It was also founded by men who once served as porters, and now they really seek to offer their clients an aunthentic experience, while being passionate about their Andean culture. Plus, they know the mountain. They combine passion with knowledge, and offer a truly memorable experience. And, the food was the best food we ate in Peru. We respect their company and would encourage travelers to choose Alpaca. 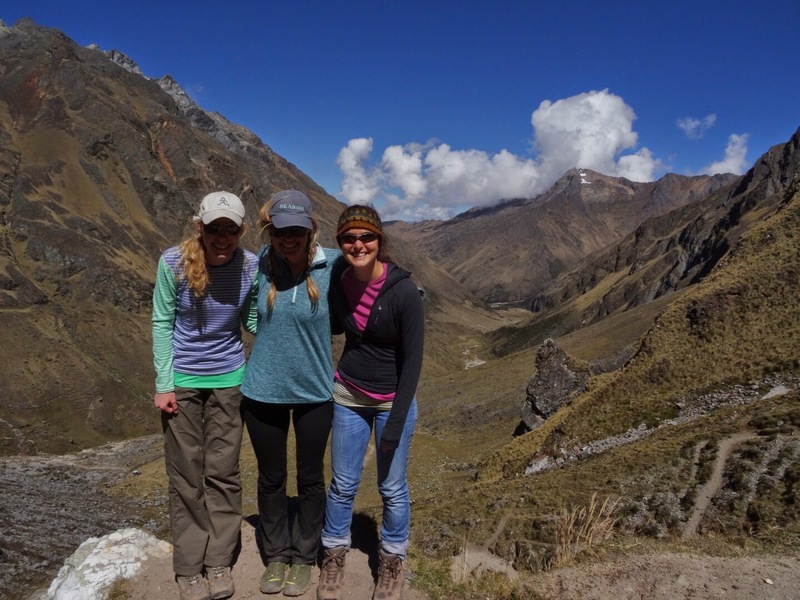 So a bit about our five-day journey through the Andes. The trek was extremely physically challenging, but the views and the beauty were worth the meters, the blisters, and the stank. In every turn, we were able to stand in awe of Gods magnificent creation. As each day passed, we were able to learn more about the history of the land we were hiking through. 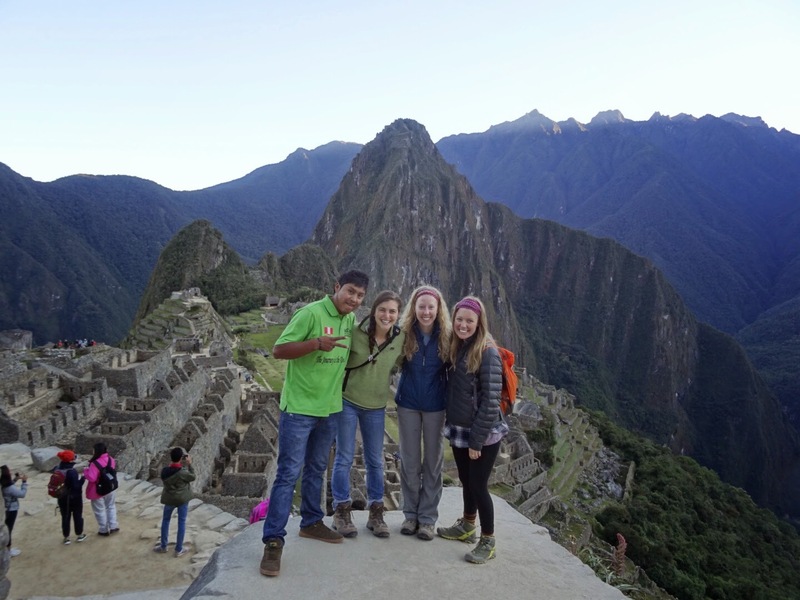 So on day 5, as we stood in awe of Machu Picchu, the significance of what we were seeing and experiencing had such depth and meaning. Day 1. 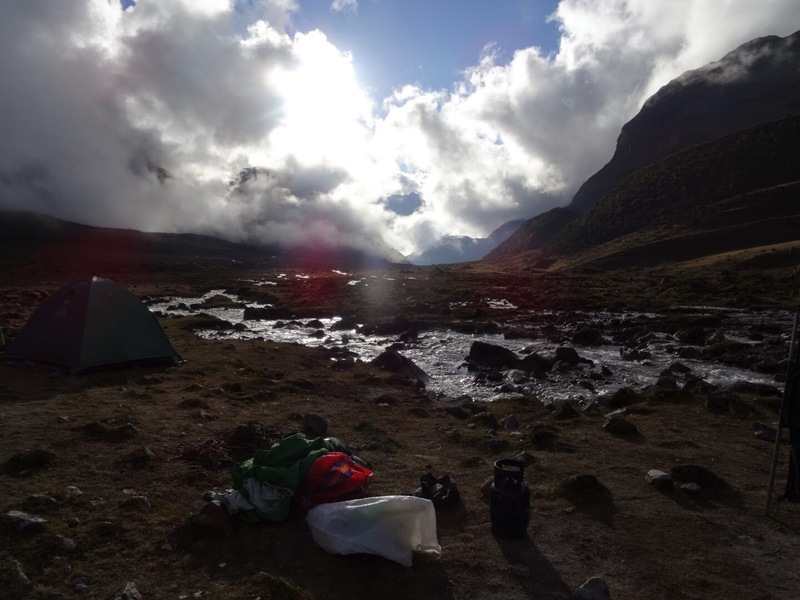 Highest altitude (about 5,000 meters), most isolated, beautiful, camping spot. The bright stars. The trout served four dinner. The wild horses and roaming cows. 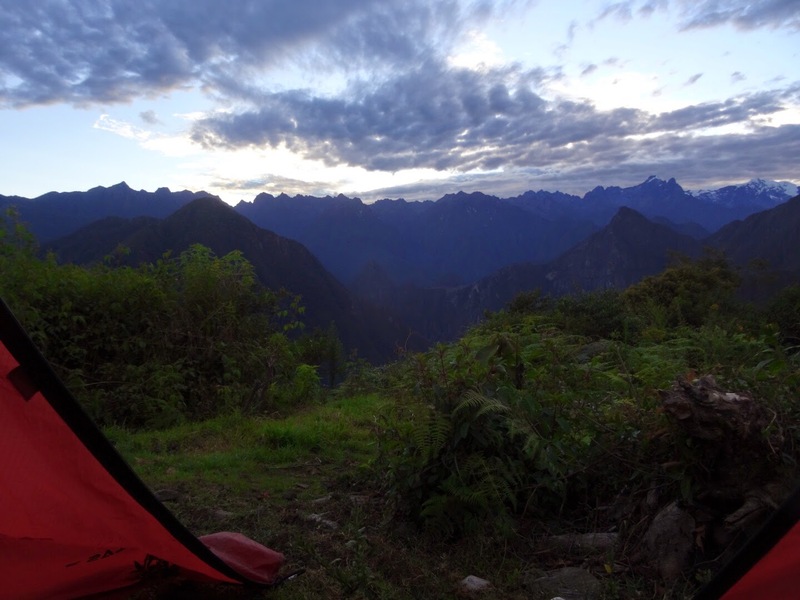 Camping next to salkantay [really high snowamcapped mountain that no one has survived]. Day 2. Tropical jungle. Descending into the lush forest. Seeing waterfalls. Riding horses. Walking 17 long km. Popcorn and coca tea pre-dinner. Quinoa soup. Day 3. Hiked up to Llactapata. Conquering a 5 hour up-hill summit of Llactapata (archaeological site). Nap time. Seeing Machu Picchu for the first time. Salsa lessons from Jose. Day 4. The view. Waking up to warm coffee (thanks to Julian), and a view we'll never forget. Across the clouds stood Machu Picchu. Homemade orange cake for breakfast. Irish friends. Dinner with Jose in Aguas Calientes. A cold, then wonderfully hot shower. Day 5. Waking up at 4 am. 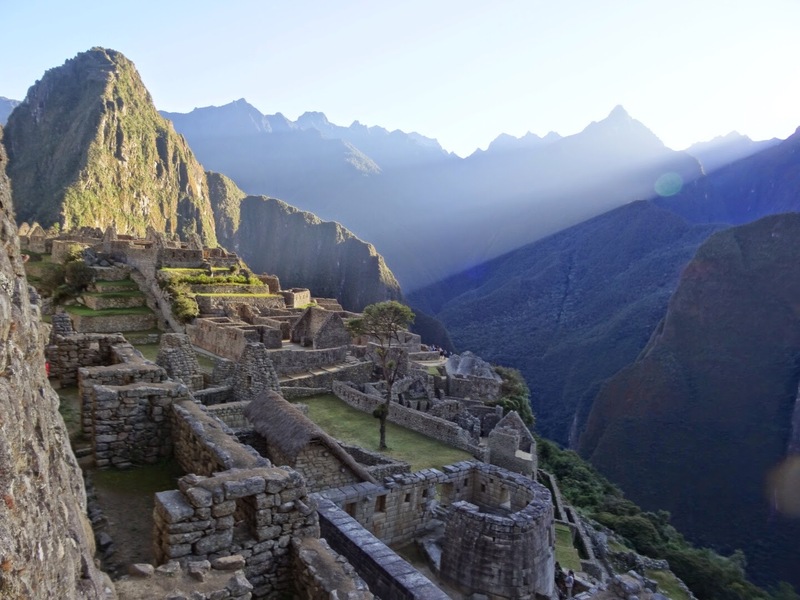 Seeing sunrise over Machu Picchu. Exploring. Learning more history about how the ruins were discovered. Sad saying bye to Jose. So to conclude: we loved Peru. For its lively atmosphere, fun bars to watch the World Cup, delicious food, and kind people. We truly loved the culture- both it's history and its friendliness. The trek is one we'll never forget. In so many ways we were pushed to rely on The Lord, and we were faced with our own human weakness and need of a greater strength. If you would like to be praying for us as we continue our time here, here are some things we´d love prayer for as we continue traveling, as well as prayer requests we have for specific counties. -Pray for Peru. There seems to be a struggle between anamisim and Christianity. Pray that the Christian faith and truth would surpass old idols and myths. -For safe travels for the rest of our trip! We are thankful to be in Bolivia- safe and sound. We are about to start yet another trek, 4 days exploring the Salt Flats and south-western landscape of Bolivia. Wow. That sounds like an amazing 5 days! And you have officially hiked at a higher altitude than I have. I'm totally impressed with you all! I'll bet it was spectacular. I know pictures can't do it justice. Hope you have a great time in Bolivia! I'm praying!